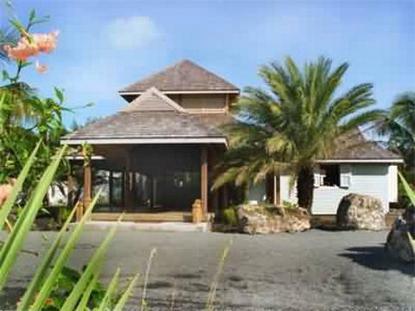 Coconut Beach Club is a small, intimate hotel located on a beach on the West-Northwest coast of Antigua. Newly renovated in 2004, this intimate, truly Caribbean resort offers sanctuary to all human souls who seek serenity and to get away from it all. All 38 rooms are beachfront, with doors opening to private balconies each with its own hammock within only a few yards from the turquoise Caribbean Sea. All accommodations are air-conditioned and have a ceiling fan, plus direct dial telephones, fridge, coffee maker and safe, a King bed or 2 Twins and a bathroom with tub and shower facility. Junior Suites are larger and have kitchenettes, 1 King or 2 double beds. At Coconut Beach Club the accent is on pampered relaxation. A spectacular one forth mile white sandy beach lined with coconut palms, right at your doorstep, landscaped tropical gardens, a freshwater pool with sundeck and loungers are the foundation of this resort. And then there is the impressive Caribbean-style reception hall, the charming al-fresco beachside restaurant, the comfortable TV lounge with panoramic view of the Caribbean Sea and beach and the main restaurant located poolside that offers fine dining and an extensive wine list in a very romantic setting. A wellness cottage where you can be pampered with a massage or a beauty treatment, and a small souvenir and sundry shop round out the main amenities. Complimentary ... Outdoor Parking..Welcome Drink..Managers weekly Cocoktail Party..Lounge Chairs at pool and beach..Daytime Tennis..Sunfish sailing..Snorkeling..Kayaking.